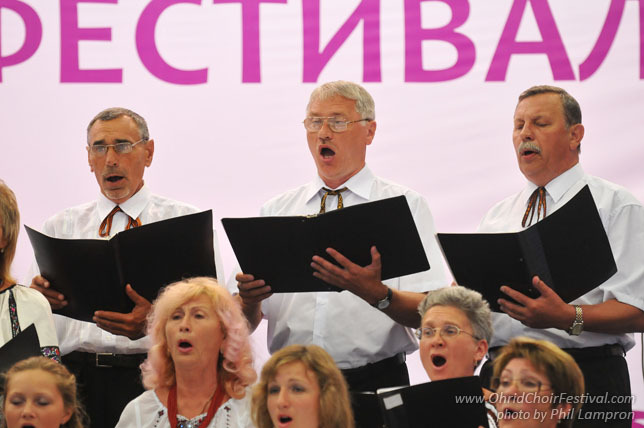 Volodymyr Gnid began his work with Teachers’ choir of Lviv State Music College in 1995. 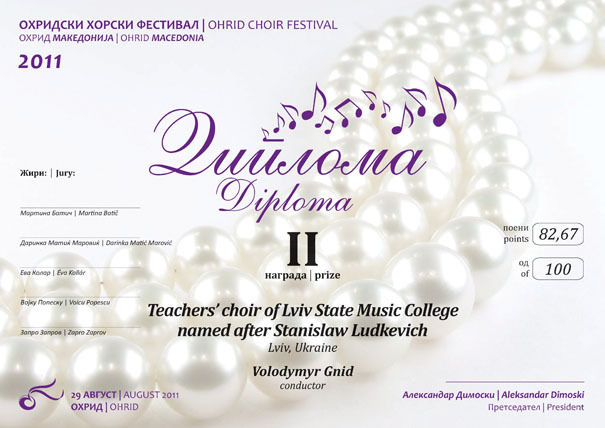 He graduated from the cultural-educational college in Lviv and Lviv State Musical Academy named after M. Lysenko, with a specialty in “Choir conductor “. 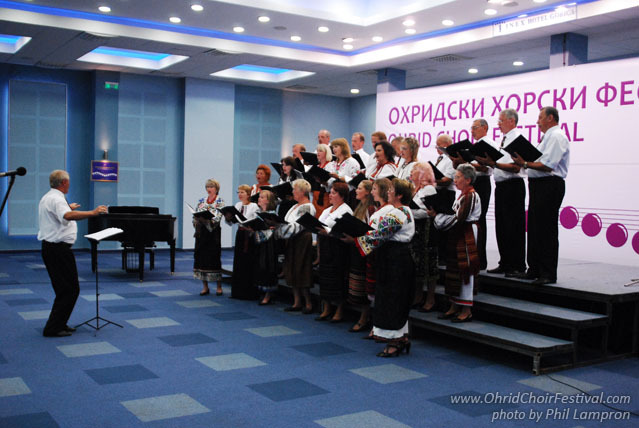 He is meritorious worker of the Ukrainian culture, works as a vice-director in pedagogical work, and is a professor. 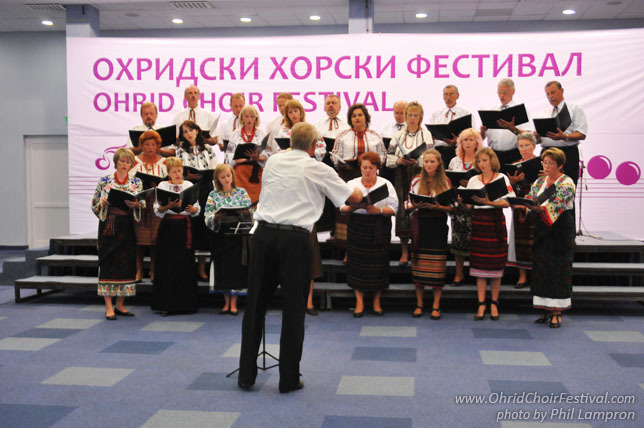 For the big personal contribution to Ukrainian culture and art development, and high professionalism, Volodymyr Gnid, by the edict of the President of Ukraine on the 5th February 1998, was rewarded with honorary rank “The meritorious worker of culture of Ukraine”. Lviv is one of the oldest and most unique cities of Ukraine, the real pearl of European architecture, a spiritual capital of Ukraine, the key political, economical, cultural, and scientific center of the western region of Ukraine. It was founded in the middle of XIII century (1256) by Danylo Halytskyi and named on the honor of his son Lev. The central part of the city was declared a historical and cultural preserve and was included on the UNESCO World Cultural Heritage List. 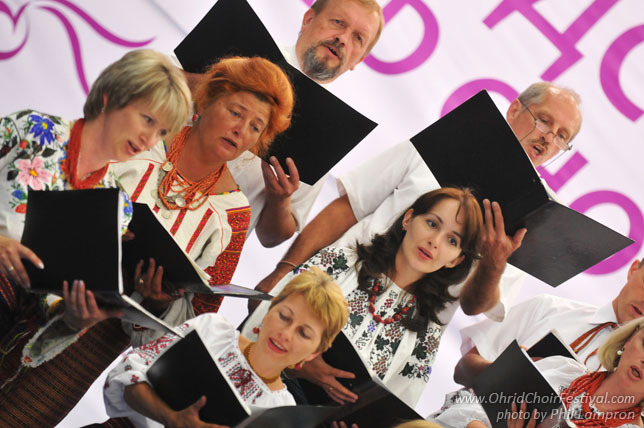 Temples, traditions, holidays and festivals are the inheritance of the past and product of the modern genius which can be felt only in Lviv.